Jung Joon Young will be back in Manila for his first ever fan meeting in the Philippines and Southeast Asia! He will be meeting his Jungbrahimovics on September 22 at the ABS-CBN Vertis Tent at 6 PM. The beloved K-rock artist was in the country last July 13 for the press launch of the first Viu Original, Hello K-Idol, where he was revealed to be one of the show’s K-Inspirations. 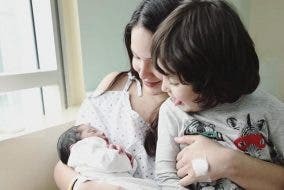 He has also previously lived in the Philippines for 2 years and is familiar with the Filipino language. Joon Young is the vocalist and guitarist of Korean rock band Drug Restaurant, who recently released their new track and music video “403” on August 31. He had his solo comeback last March 29 with his single “Fiancée.” He is also a host on the hit variety show 2 Days & 1 Night and starred in the television series, The Lover. Both of these shows are available on the Viu platform. 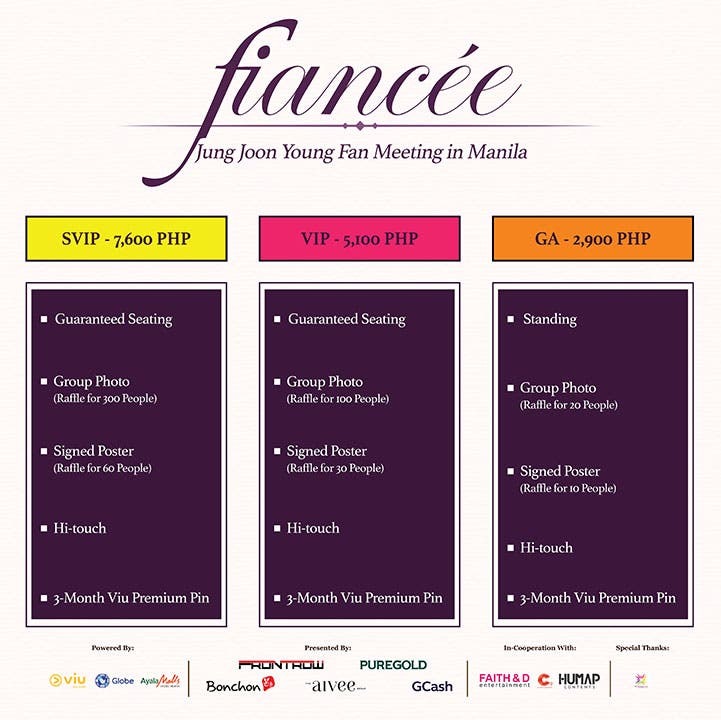 Ticket prices to Joon Young’s fan meeting are SVIP: P7,600, VIP: P5,100, GA: P2,900. These tickets are all inclusive of a hi-touch with Joon Young himself! Don’t miss this chance to get up close and personal with Jung Joon Young! Buy your tickets at any TicketWorld outlet or online at http://bit.ly/jjy-fiancee-mnl. 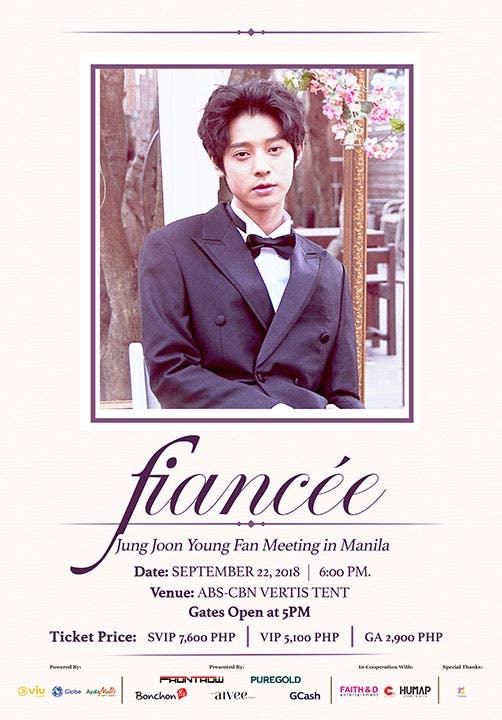 Follow Viu Philippines on Facebook to get the latest news and updates about Fiancée: Jung Joon Young Fan Meeting in Manila 2018.